Complete renovation done with delightful golf course views , This beautiful vacation rental is an oasis of peace in the Moorings . The home has four beautiful bedrooms in a split floor plan with 1 king bed ,2 queen bed and 2 twin beds . Recently renovated 3 baths feature granite counters , finest woodwork and walk - in showers . The whole floor in the main living areas has Travertine tiles . There are 2 car garage in the home and a separate laundry with full size washer and dryer .There is a huge walk-in Califcloset finishe with cherry wood in the master bedroom . 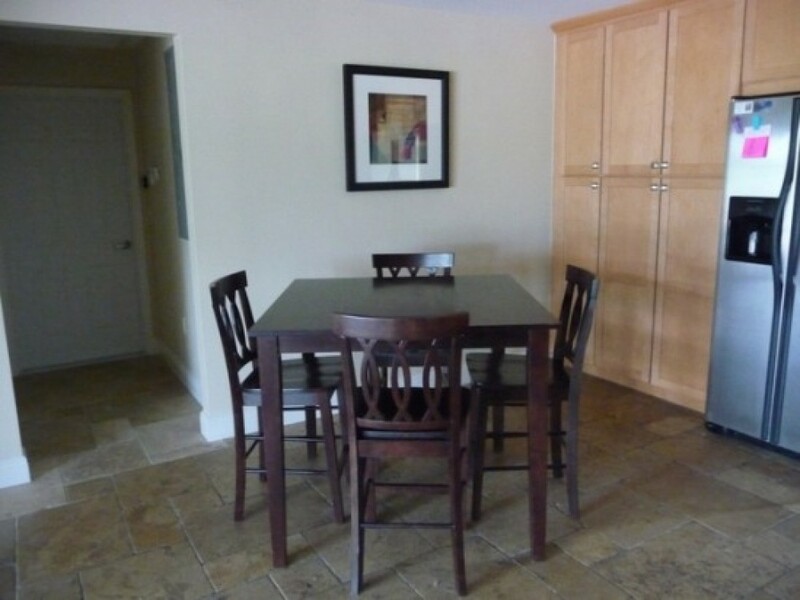 The kitchen has completely been renovated and updated with all the stainless appliances . Now time for entertainment and for that we have a 50" flat screen TV in the living room with premium cable channels and each bedroom has a flat screen TV . A Blue Ray DVD player for your use . Brand new lanai, with brick pavers . New screens with the lovely view of the Moorings coutry club golf course . $ $200 cleaning fee to all rates Pool heating is billed at $130 per week in winter months.